Cyber criminals have always been attracted to cryptocurrencies, which provide a certain level of anonymity and can be easily monetised. In recent years, criminals have gone beyond using cryptocurrencies as a payment method for illicit tools and services. Seeing their value and growing popularity, many actors are targeting cryptocurrency operations and exchanges with attacks such as malicious cryptocurrency mining, collection of cryptocurrency wallet credentials and extortion. 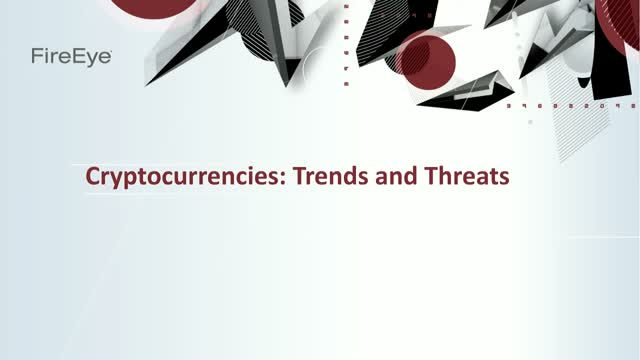 Join your host David Grout, Technical Director for Southern Europe, for a 45-minute webinar to discuss the latest cryptocurrency threats and trends.